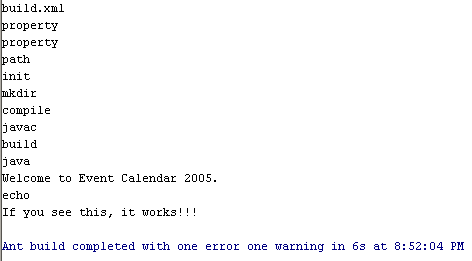 If there are some error in my build file, program can not print "Welcome to Event Calendar 2005". Please check it! to Event Calendar 2005". Please check it! "Ant build completed with one error one warning in 2s at 11:15:45 AM"